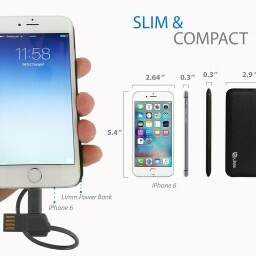 With your Limm Portable Charger you can give your devices power when they need it most, anytime and anywhere. 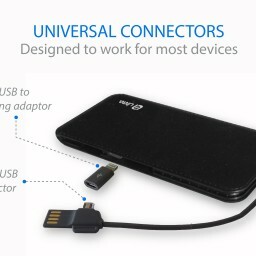 Your device will charge almost as fast as it chargers when connected to normal AC power, allowing you to keep using it as long as you need it. 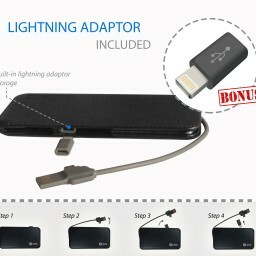 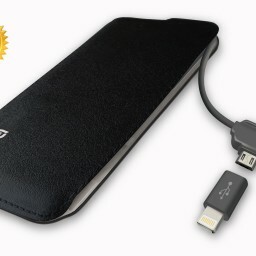 It comes with a USB port for charging and a Micro-USB port as well as a Micro-USB to Lightning Adapter (BONUS) to charge devices (which can be detached and used separately if desired).